Hydrogen derived from water and exploited for its potentially huge energy payload is a substance of interest for those researching post-oil fuels and their uses. Some researchers and inventors conclude that hydrogen is the clean, green solution to humanity’s consistent need for power. The last few years alone have seen a revolution in hydrogen-purification methods. These include studies that have demonstrated chemical reactions that result in efficient and prolonged hydrogen production from solution, also known as ‘artificial photosynthesis’. Other papers have documented increased efficacy in forging a link between solar power and hydrogen: in other words, solar cells can convert sunlight to electricity, which can then be used to split water into hydrogen. The fuel is then applied as a fuel source for vehicles or generators called ‘fuel cells’ that power homes or other buildings. Despite all these encouraging findings, the uptake of hydrogen power could be described as less than enthusiastic at present. 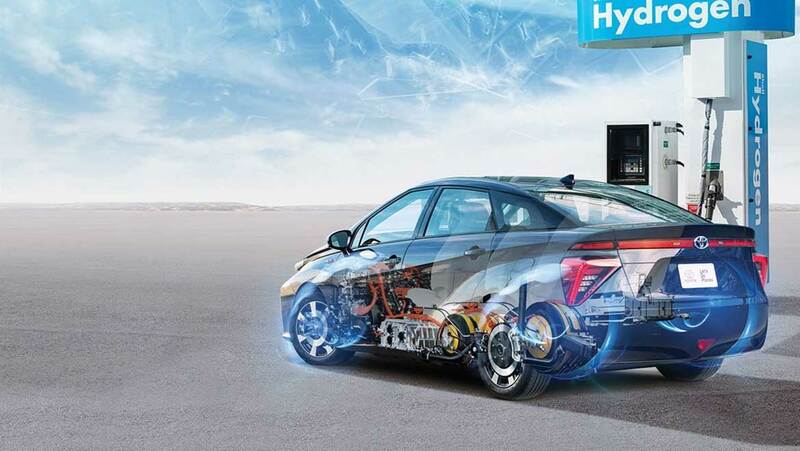 This is related to a number of factors, which may include sheer unfamiliarity and a lack of general compatibility with hydrogen fuel or fuel cells. In addition, the use of hydrogen has a history of being less energy-productive compared to the traditional process of burning fossil fuels. Hydrogen also represents a future with sustainable and renewable energy, which is a prospect some analysts and national authorities perceive as capable of disrupting large sectors of the global economy as it stands now. However, a major obstacle to the increased use of hydrogen is the expensive and complicated nature of its storage and transport. Hydrogen fuel exists in a state that requires specific conditions which include precise pressure levels in order to remain stable. As a result, it needs custom-built, robust, costly vessels to store it. Consider the additional expense involved in providing compliant ports to fill hydrogen ‘canisters’, the costs of transport as well as the risk of ‘leakage’ (another common problem with hydrogen storage to date) and hydrogen may appear less and less feasible to both businesses and investors. On-Site Hydrogen Production: A Favourable Reaction? An improved option for hydrogen fuel use would involve high-tech compounds that react to produce molecules of the fuel when a substance, such as water, which contains the element is added as required. This technology would allow for the transport of low-cost hydrogen donors, which is a process already well in effect today, rather than the fuel itself. Groups or individuals could then use containers of the compound to release hydrogen for power at will. The process of purifying hydrogen, known as electrolysis, often requires metal electrodes, which have some critical drawbacks. These metals may be prohibitively expensive - for example, platinum has been used as an electrode in the past. Therefore, researchers have recently switched their attentions to aluminium, which is theoretically capable of evolving hydrogen at a good rate and volume as it oxidises. However, studies that have attempted to make this method of purification a reality have reported that the process was excessively resource-intensive and, furthermore, produced about half the amount of fuel expected. This is where Scott Grendahl and his team at a US Army laboratory in Maryland come in. They developed a new composition using aluminium that produced vastly improved quantities of hydrogen when it was exposed to water. This metallic substance could be termed a ‘nano-alloy’, as it is made of micrometre-sized clumps of aluminium and comparably-sized pieces of a selection of other metals, arranged in a specific conformation at the nanoscopic scale. When water is introduced into this mixture, the end products of the resulting reaction include hydrogen – lots of hydrogen. The team claims that it produces 100 percent of the expected yield in less than five minutes. This also means that a certain amount of the alloy can produce more energy than a lithium-ion battery of the same mass and size. The team also concludes that the alloy won’t degrade over time as a battery does. One of the more interesting things about this discovery is that it was stumbled upon completely by accident. The team’s project was in fact set up to devise and assess new alloys for physical strength. Exposure to water was one of a range of tests their new aluminium-rich compounds were put through. However, when the alloy in question went through this routine evaluation, it unexpectedly demonstrated the ability to evolve hydrogen in appreciable volumes. The team observes that their creation has many advantages as a power-supply solution. It is solid, stable and easy to transport. In addition, it can be made using aluminium from any source, including scrap, making it potentially cost-effective and easy to produce. The unique aspect of the alloy is its nano-structure, which the team wants to patent. Therefore, this creation may be the future of realistic, scalable hydrogen fuel cell power. Scott Grendahl and a team at an army laboratory in the United States may have provided a solution to the problems currently faced by hydrogen as a power source. It may resolve the issues of expense and logistics that restrict the futuristic fuel to use in experimental or niche transport and home energy systems. Liquid or gaseous hydrogen may still have its uses, mostly as automobile fuel or as the precursor for plasma, which may provide next-generation spacecraft with thrust and propulsion. However, this alloy is a stable solid that may be more amenable for inclusion in new generators and fuel cells here on Earth. On the other hand, the fact that this breakthrough was made within the apparatus of the US Army and the team’s moves to patent the new hydrogen-producing alloy may affect its availability in the medium to long term. Barbir F. Transition to renewable energy systems with hydrogen as an energy carrier. Energy. 2009;34(3):308-12. Kucernak A, Zalitis C. General Models for the Electrochemical Hydrogen Oxidation and Hydrogen Evolution Reactions – Theoretical Derivation and Experimental Results Under Near Mass-Transport Free Conditions. Journal of Physical Chemistry. 2016;120(20):10721-45.